Obituary for Gwendolyn Marie (Parks) Oakley | Hairston Funeral Home, Inc.
SALISBURY – Ms. Gwendolyn P. Oakley, age 65 of Salisbury, passed, March 19, 2019 at Novant Health Rowan Med- ical Center. She was born in Rowan County on May 31, 1953 to Catherine Lynn Roebuck, and James Monroe Parks, Sr, both of Salisbury. She was a graduate of North Rowan High School and continued her education at Rowan Technical Community College. She was a certified patient care technician at the W. G. Hefner VA Medical Center, Salisbury, where she retired in 2016. She was a member of Hall’s Chapel P.B. Church, where she was active in the missionary and pastor’s aide ministries. 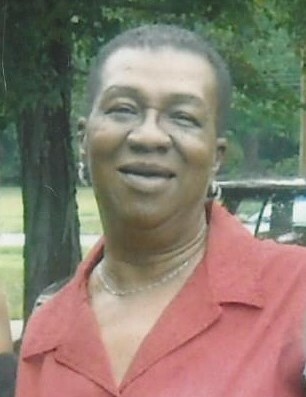 She was a kind and loving mother to her caring daughter’s, Frederica Bush (Cedric), Aurelia Smith, and Tara Smith, all of Salisbury; brothers; Antwann Parks, Sr., Durham, James Parks, Jr., NY; Jhirmane Parks, Va and Kevin Parks, NY; sisters, Lola Jones, Salisbury and Tinaja Johnson, NY; six grandchildren, three great-grandchildren and a host of nieces, nephews, cousins and dear friends. Service: Wednesday, March 27, 2019, Visitation: 11:30 a.m. and funeral 12 p.m., at Hall’s P.B. Church, Elder Richard Johnson, eulogist. Burial will follow in Oakwood Cemetery, Salisbury. The family will receive friends at the home, 809 S. Fulton St., Apt. K., Salisbury, NC. Hairston Funeral Home, Inc., is serving the Oakley family with sincere sympathy and compassion. Online condolences may be sent to, hairstonfh.com.